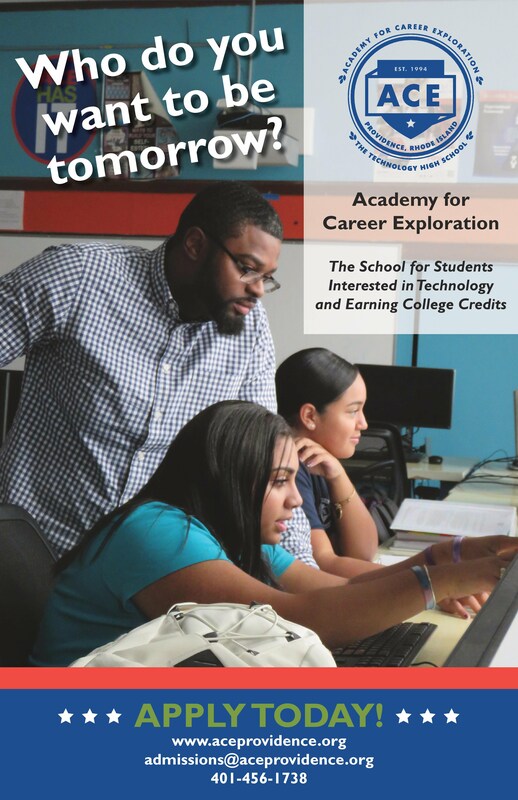 Welcome to Academy for Career Exploration! ACE Parents/Guardians, click here for instructions. Padres y Tutores, hagan clic aqui para instruciones. The ACE Admission Lottery for the 2019-2020 school year has now closed. All applicationw submitted moving forward are added to the wait list in the order they are received. .
La Lotería de Admisión de ACE para el año escolar 2019-2020 ya cerro. Todas la aplicaciones recibidas de ahora en adelante seran puestas en la lista de espera en el orden en que se recibieron. Visit the rest of our web site to learn more about ACE.